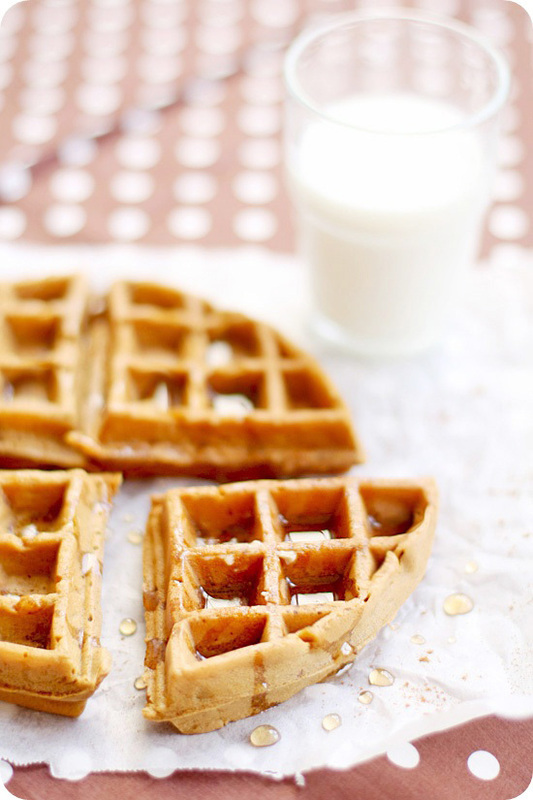 nothing beats having waffles in the morning or better yet, gingerbread waffles! i recently bought a waffle maker (brand is waring pro) and have been putting it into really good use. i tried out different recipes as well as some interesting flavors like matcha and chocolate and since i missed out making gingerbread cookies during x'mas, gingerbread waffles it shall be! 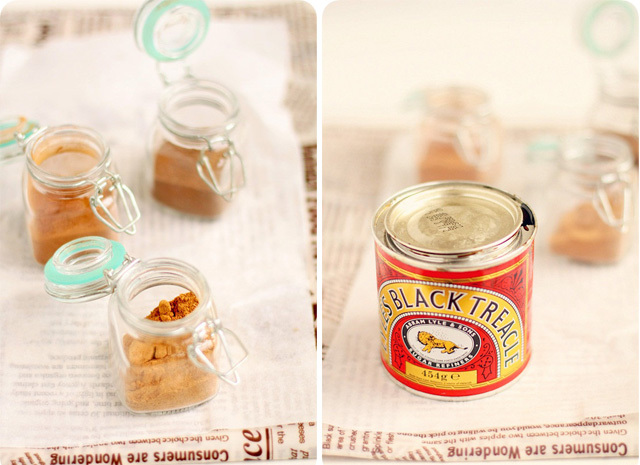 spices i used were cinnamon, nutmeg & all-spice, plus a tin of treacle leftover from 2010's x'mas. in case you're wondering, molasses and treacle are interchangeable so if a recipe calls for dark molasses you can use treacle. 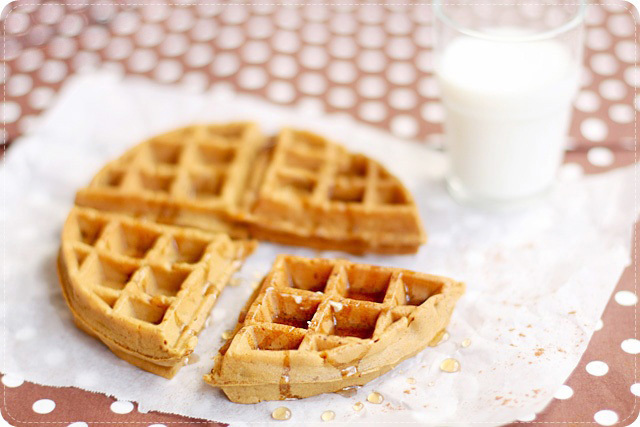 tastewise, not your conventional waffles thats crisp on the outside and fluffy on the inside but it was good! perhaps the use of pumpkin puree made the waffles denser and more cake-like but it was nice, the aroma is very similar to gingerbread. great simply eaten with salted butter and maple syrup. i used rachael ray's recipe coz i really like her shows. she's funny and unassuming! i also learned from experience how beating the whites separately will result in pancakes and waffles of a fluffier texture so i did just that.